Shankar interested in Chiranjeevi’s 150th film? 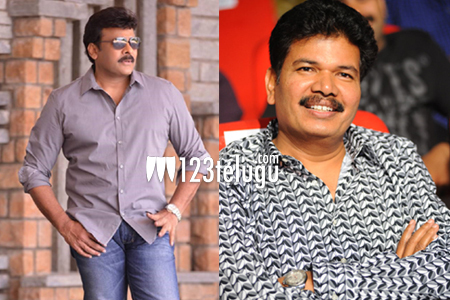 Will mega director Shankar direct Megastar Chiranjeevi’s 150th film? According to reports being heard in Filmnagar, this is a possibility that is being explored by both sides. While no concrete updates have been reported, discussions are said to be underway. Shankar is one director who definitely has the stature required to handle a hugely anticipated project like Chiranjeevi’s 150th movie. Ram Charan will be producing this movie and he is also expected to act in it. Shankar’s ‘I’ is getting ready for a release soon and this movie’s fate may have a say in this development. Let us wait and watch.